3-20-2015 Why You Can't Vacation at the Beach in Bolivia. 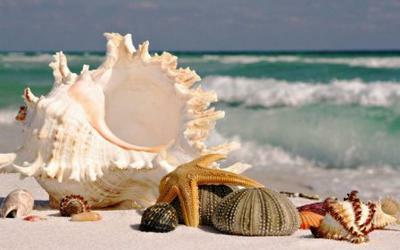 In 3 days, on the 23rd of March, Bolivia celebrates Day of the Sea. Why, you might ask, did we lose the sea? Well it all started a long time ago, February 1878 to be exact. This was when Bolivia decided to raise taxes on the Chilean mining company ("Compañía de Salitres y Ferrocarril de Antofagasta", CSFA) that was working on a part of Bolivia's territory mining saltpeter. Even though in 1874 Bolivia had said it would NOT increase taxes on Chileans for 25 years. Chile protested but Bolivia refused, and it was taken to courts. (Seems these days all war starts in courts. Spoiler alert... bit too late). Then Chile said it wouldn't be part of the tax treaty it talked about earlier if Bolivia didn't reduce taxes. Bolivia confiscated the property and on February 14, 1879 Bolivia tried to put the Chilean confiscated property of CSFA on auction. Chilean armed soldiers walked the port of Antofagasta. Peru tried to stay out of it, but on 1 March 1879, Bolivia declared war on Chile and used a super secret treaty of alliance that they had between Peru and Bolivia (signed in 1873) to make Peru takes sides with them against Chile. Then Peru had no choice but to help Bolivia. (Never thought you would use this treaty, did you Peru. Thought it would all be fine and dandy, didn't you PERU. That's what I thought). This was when Chile demanded Peru stay out of it. Soon on April 5th, Peru refused and Chile declared war on BOTH nations. (Um, didn't Bolivia already declare war on Chile? How can you declare war on Bolivia if they already declared it on you? This is confusing. Let's go on). Even today, a century later, Bolivia is trying to get back the sea. You SEA, the reason we need to have a sea is because without it, we have to pay every time we get cargo. The thing is when Bolivia has to get something from other nations, the stuff is shipped by boat and then unloaded at ports, which of course are ruled by Chile, so Bolivians have to pay Chile super powerful, green, cash money to go to their sea and get their stuff. And that's the story of the Day of the Sea. That is why people celebrate it. (Don't know why we CELEBRATE the loss of a war but that's not for me to question.) Image Source. Anyways I hope you enjoyed today's blog and the terrible jokes within, and that you will find me on my next blog. In the meantime, here's a question: What would you do every summer if your country was landlocked (if your whole country had no sea)? Comments for 3-20-2015 Why You Can't Vacation at the Beach in Bolivia. nice article i like it so much. it's very useful. Thanks for the sharing this. I can't imagine not being able to go to the beach! But it would seem from your explanation that Bolivia was the first to dishonor its treaty. Short and clear explanation! Bolivia lost the sea because of the greedy politicians. Interestingly, some of them still can't learn how to respect the contract rules :) I hope though, that Bolivians will get some of the sea side back. As they say - Mar por Bolivia!